Top 10 Reasons to Watch This Video of Bboy Climbing a Coconut Tree - JP loves LIFE! Your mom, grandmom or great aunt buys coconut from the grocery store freezer & has it in their freezer for months before using it. The idea of going to The Philippines sounds interesting or at at all uninteresting. 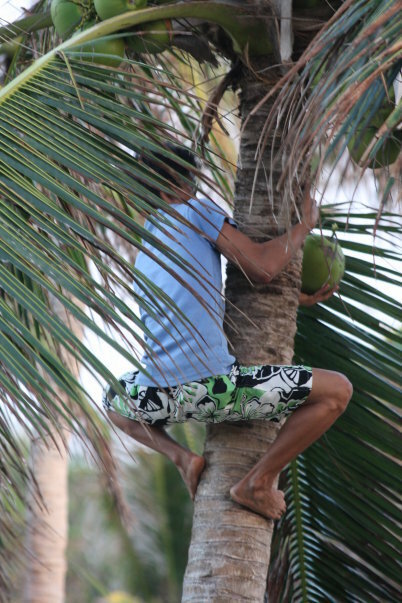 You wonder whether a guy can climb a 100 foot coconut tree in a minute or so & climb back down ONE-HANDED! Travel and food adventures are among your favorite things. This was shot less than a week ago in Boracay, Philippines. It’s an incredible place that most of us would prefer to be right now given the amount of snow in so many areas of the U.S.! If you ever start planning a vacation to that area, let me know.